And final update: TimeWatch finishes up in about 6 hours. We hit 48 stretch goals and are about $6.5K away from unlocking full color books (at $100K). Exciting! Many, many thanks to everyone at GitP who helped out -- you folks rock. Sherlock Holmes RPG is up on Kickstarter. We are licensed with the Conan Doyle Estate. Tons of stretch goals, including famous stretch goal designers and authors and a Jack the Ripper Campaign. Just an update, closing in on 48 hours remaining in the Tome of Horrors 2 (mostly) metal miniatures Kickstarter. Metal minis cost a lot more than Reaper Bones but it's at a pretty good value right now with some old-school and eclectic creatures, and there's several stretch goals within close striking distance. Breachworld, a game about an Earth populated by demons, monsters, humans and magic, from Jason Richards. I'm a backer to the tune of $30. *It isn't realism, it's verisimilitude; the appearance of truth within the framework of the game. *Picard management tip: Debate honestly. The goal is to arrive at the truth, not at your preconception. API Anthology 1 from Drivethru RPG. If you need me to address a thread as a moderator, include a link. An old friend of mine is Kickstarting his new project Mars Colony: 39 Dark. It's a follow-up to his 2010 game Mars Colony - both are designed to be short, 2-player games dealing with politics and management of a failing colony on Mars (thus the title). The base-level $6 gets you the PDF but there are options for getting a hard copy and the first game with it. Campaign closes April 2. Take your best shot, everyone else does. Avatar by Guildorn Tanaleth. See other avatars below. My original avatar and much better ones by groundhog22 and a Winter Olympics one by Rae Artemi. Feeling oldschool? 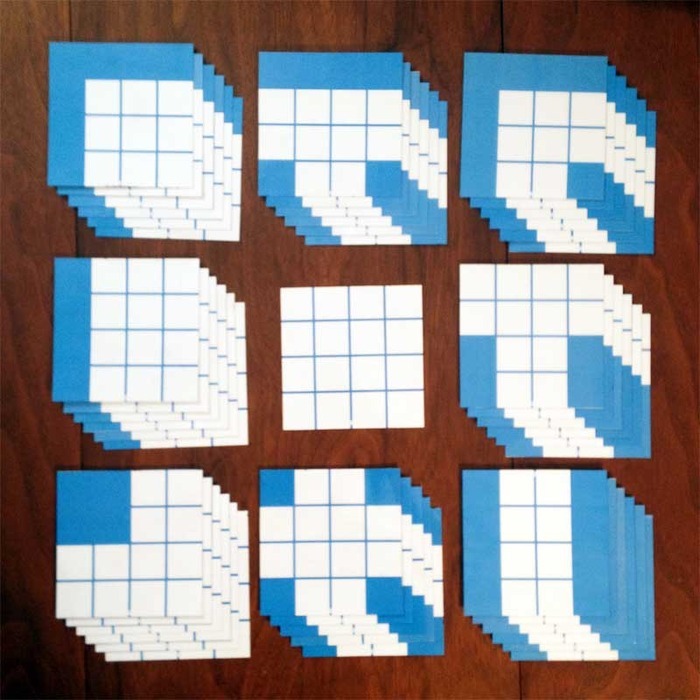 How about blue dungeon tiles? We are really exited about this project and we hope you will be to! Avalanche because an epic world needs an epic Storyline! The Dwarven Forge Caverns Kickstarter is in its final days; it ends on Tuesday. Make sure you take a peek (and pledge some $) before it's all done! Last kickstarter, the sets were about 50% of retail with all of the pieces you get, so if you have EVER been interested in 3D terrain or Dwarven Forge, it will never be cheaper and it's a great way to break into the hobby. It ends soon, so hurry up! Metamorphosis Alpha Goodman Games reprint kickstarter. so far there is a GM screen, an adventure, and a poster map of the warden done in DCC style by Doug Covacs. there are also Four other adventures, one that was at Gary Con and more as stretch goals. Last edited by darjr; 2014-04-15 at 07:02 PM. Yesterday our Erevos Indiegogo project was launched! Your impact may change the whole world! In Erevos you can shape history! 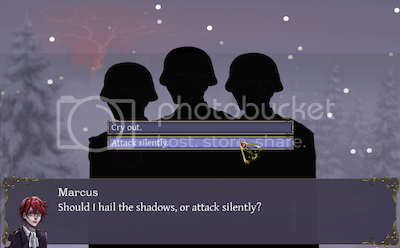 • Erevos offers the opportunity to play ‘Rhapsodies’: short personalized adventures written by professional adventure authors specifically for 1 adventuring party, tailored to the needs of the players (theme preferences, characters backgrounds and goals, players likes and dislikes etc)! • Erevos is a truly living campaign setting, in the sense that the world evolves according to players' will and actions. There are no significant NPCs making decisions or major random events dictating the future! • Erevos leaves great room for creativity: by registering in the community, you can upload your custom creations (orders, faiths and so on) and see them become official if the community approves them! • Erevos is a world of political influence: you can determine some part of the world's history by participating in local political councils or even create a kingdom of your own! 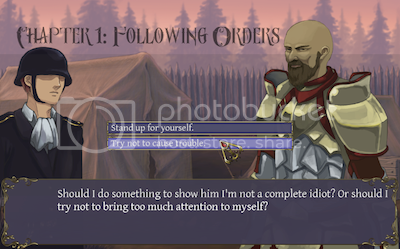 • Erevos acknowledges your character's accomplished tasks: every registered character has a personal on-line profile page where he can upload his adventures and socialize, much like a social networking platform. The most significant events are recorded in the On-line History Time-line becoming part of Erevos official history! I recently launched a new RPG on Kickstarter, Altais: Age of Ruin. Altais is a dystopian fantasy RPG set in the distant future, combing elements of sci-fi and magic together in a world full of fallen kingdoms, strange magic and planar travel. The land is ruled by corrupt forces and undermined by constant conflict and rebellion. Magic is one of the focuses of the game, and there are no arcane gestures or invocations involved. Magic users have the ability to weaken or strengthen the barriers between other realms, each of which has it's own unique properties. By allowing the energy from these realm in (or by denying the normal background amounts that seep through) spell casters can create all kinds of magical effect. One of the major threats to the land are creatures called the Rephaim. They come from one of the other realms, humans who have been mutated by its energies and some of them are thousands of years old and still have access to ancient technology. I leave you with the Lyse flower, a symbol used by the Parliament of White Lies to represent rebellion and murder. Handing the flower and a name to one of their agents guarantees the target will be dead before the day is over. And the pdf of Ward Co version of Metamorphosis Alpha 1st edition is $3.99 on DriveThru, please note that backers of the kickstarter will get a pdf copy as well. This is the version with errata, and includes further errata. ONLY TWO DAYS LEFT to get in on this! The very first sci-fi RPG ever published is returning in a deluxe oversized hardcover format, featuring the original 1976 rules plus loads of extras and new material! 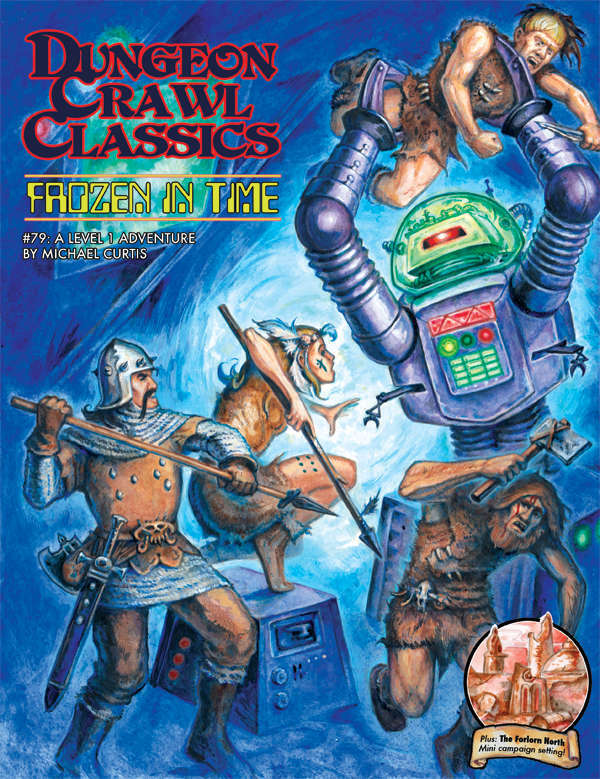 Plus a free PDF of the E-Z Future Deluxe Edition sci-fi PDF terrain set from Fat Dragon Games, as well as a copy of Jim Ward's sci-fi adventure Dark Outpost from Eldritch Entertainment. Goodman Games has also put another adventure on sale for $2 in support of the kickstarter. It's a newer DCC adventure with robots and sci fi elements. DCC #79 Frozen in Time. A 54 card deck of playing cards. Printed on high quality cardstock so that they will last for years of use. 54 fantasy plot-lines that can be used as short side plots in an ongoing story, or can serve as the foundation for a whole campaign. Usable for hundreds of unique games... most of which haven't been invented yet! The third of the Concept Cards line, which includes Locations and Characters. Detailed plots, each with five separate aspects. This is our third foray into the wonderful world of Kickstarter, so we've learnt a lot about how to make the delivery process work well; and we've found that the backers from previous projects keep coming back for more :-). If you missed our previous projects, this is also the perfect opportunity for you to pick up the Location and Character decks. The fantasy coins are high quality and a very nice gaming aid/prop. There's an Early Bird special backing level to get the full set of 60 coins at $58 instead of $68 (166 left of 250 slots at the time of this posting). Osbourne Coinage handled the Kickstarter well and shipped the coins on schedule for the previous Kickstarter so I've no concerns about backing again. Here are some pics. The Great Wave off Kanagawa by Hokusai Me. "We have sent many to Hell, to smooth our way," said I, "and we are standing yet and holding blades. What more?" Frog God Games are re-doing The Lost City of Barakus (an Ennie award winner in it's 3E guise) in PFRPG and S&W. This product is aimed at getting more people into FGG world and products (which rock IMO), entry price fora Smythe sewn hardback is good. PS it has already funded with only the (optional add on) colour map to go on the stretch goals. Last edited by Machpants; 2014-04-28 at 03:22 AM. Kromore just launched today on Kickstarter. This 350 page Setting and System aim to please. Check out the project and see for yourself. My husband and I have launched a Kickstarter for our journals designed just for RPGs. We're offering two different length journals. One is 50 pages and the other is 100 pages. Both are 8 by 10 inches paperbacks with matte covers so you can write the name of your adventure. The first page has spots for basic game info: GM, players, characters, set up, chronicler. There's a page for listing items found during the adventure as well as spots for sketches, grids for maps and plenty of space for keeping track of events. Other items include a 18 X 24 inch map of Silicon Valley done in Lord of the Rings style, bookmarks and greeting cards. I have just launched a project for my new system. Based around the d20 system, this is my attempt at fixing the problems with 3.5. Rebel Minis is proud to announce we are launching our first Kickstarter! 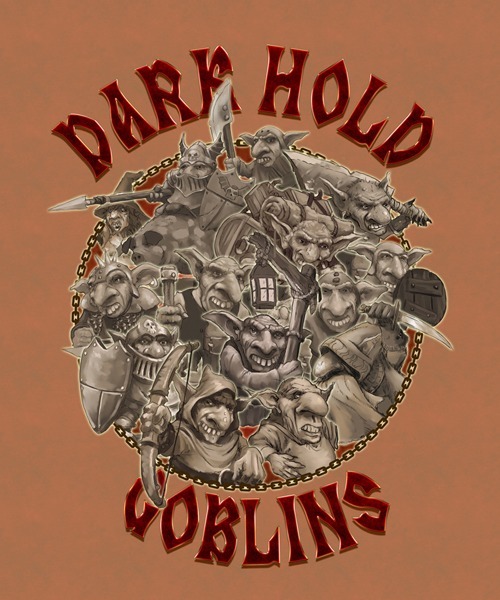 The 28mm Dark Hold Goblin Adventurers Miniatures Kickstarter!! 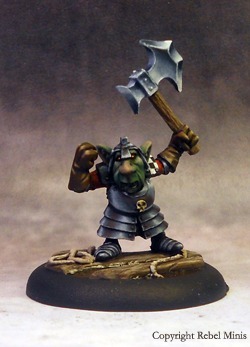 I have wanted to do this line for a while, and wanted some good Goblin characters for my RPG games, skirmishes, and dungeoncrawls. 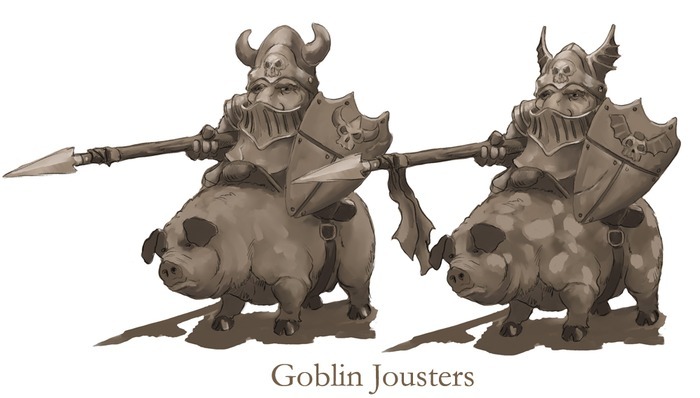 The project's main goal is to fund the creation and production of 18 Goblin personalities and characters to be used in RPGs, tabletop games, and even wargames. We have hired industry veteran Bobby Jackson to head the sculpting on this project. Thank You for Your Support & Please Pass The Word! Caleb Stokes of Hebanon Games and Role Playing Public Radio is Kickstarting a supplement for the Super Villain game Better Angels called No Soul Left Behind. I have been listening to the actual play of the playtest on RPPR and have been having a blast. Link to the actual play here. Don't be confused by the it being named 'The Spared and the Spoiled' they changed the name to No Soul half way through. I have been following Caleb Stokes as an RPG author since he ran a phenomenal Eclipse Phase campaign on RPPR called Know Evil and have been enjoying his published RPG material ever since. So now I'm telling you about the kickstarter in hopes of helping it's success so that I can keep enjoying more RPG material from him. P.S. If you are interested in Better Angels it's on the Bundle of Holding for for the next 7 days. 5th Edition Foes - a monster book that starts out with 200 monsters (about 220 pages) and grows based on stretch goals. It's currently at 220 monsters now, and the next stretch goal adds 20 more. Quests of Doom - this book starts off with 12 adventures; stretch goals can push it as high as 18. Book of Lost Spells - This unlocks at $45,000 raised (it's just under $10,000 away now). The estimate is 250 pages of new spells for 5th edition. The project has quality people working on it (Greg Vaughan, Bill Webb, Matt Finch, Steve Winter, Skip Williams, Ed Greenwood, James Ward, and more). FGG / Necormancer Games produces books via a textbook printer; bindings will last you a crazy long time on these books. Lots of bang for your buck here, and more to come - including stuff I can't talk about at the moment. Note: unless explicitly stated otherwise, opinions in my posts are my own and not those of Frog God Games. That's a fair question. Obviously, I can't say if you'll like the 5e rules, hate 'em, or not give a dire rat's hairy behind about them. 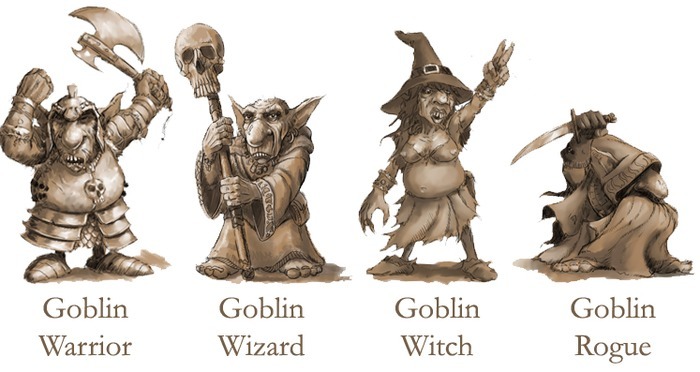 What I can say is that Steve Winter is leading the project; he was one of the designers (along with Wolfgang Baur) who worked on the Tyranny of Dragons adventures for Wizards (via Kobold Press). The expectation is that having Steve on staff means the rules are right. Whether you end up enjoying the rules or not, of course, is a personal decision. My suggestion? Keep an eye on things if the system is all that makes you wary. The Kickstarter runs until September 4th. The PHB releases by then, and should give people a good feel for the rules system. For anyone who likes the FATE series of RPGs (FATE Core/Accelerated, Spirit of the Century, Dresden Files RPG, Campaign Coins is developing metal Fate Tokens. They're super detailed, with the word "FATE" on one side and a plus, minus, or blank on the other side. They come in sets of 12, and there's already been stretch goals met to allow you to choose a different metallic finish for each set. Final Hours! Thank you for all your support! 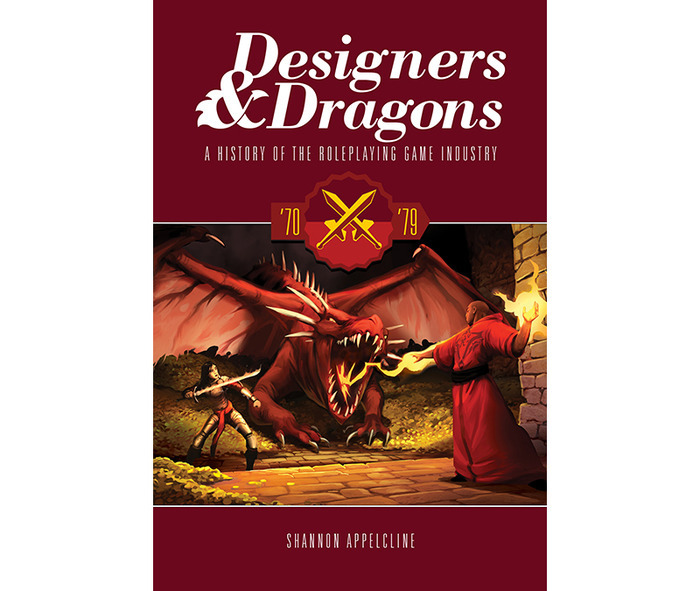 So Designers & Dragons, a 4-volume history of RPGs is kickstarting! It looks amazing. The 70's volume is wonderful so far. 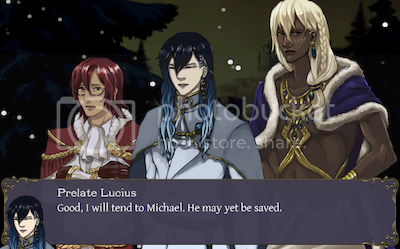 My visual novel game, Queen At Arms, is finally on Kickstarter after a year of development! We're shipping it in January, assuming successful funding. It's full of branching paths, death, and hot boys. 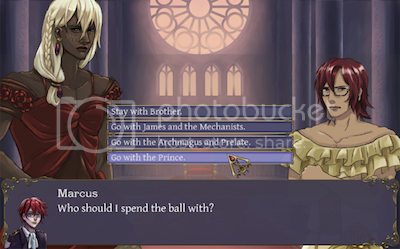 The decision-making aspect is modeled after Telltale's Walking Dead. We're trying to choose our first stretch goal. Last edited by Rosstin; 2014-08-16 at 02:17 AM. On August 28th, say goodbye to the shackles of Vancian magic with Strange Magic, a collection of exciting magic systems compatible with the Pathfinder Roleplaying Game. Written in association with Flying Pincushion Games and Thilo "Endzeitgeist" Graf, Strange Magic expands upon the Ethermagic, Musical Composition, and Truename Magic systems released by Interjection Games earlier this year with brand new base classes, archetypes, prestige classes, spells, and feats. To date, the number of spells present in this book is over 500 and is still growing by the day! Additional custom art by Gary Dupuis, archetypes, prestige classes, and even base classes will be added to the book at regular funding intervals, and announcements will be made as to what we desperately cook up if this happens faster than we expected. In short, if this Kickstarter takes off, the end product will become the sort of book that makes brave bookshelves weep - even the oak ones. As of posting, we're already 85% of the way funded and are poised to absolutely annihilate the stretch goals. I'm looking forward to breaking as many bookshelves as possible. Over 500 manifestations, compositions, and recitations! NPC writeups for all classes, archetypes, and prestige classes - Strange Magic is a stealth NPC codex! What is it? - Ethermagic is a magic system that is defined by its plasticity and its inexhaustibility. Simply put, you have a spell point pool, a regeneration rate per round, and can build spells on the fly from various pieces, or manifestations, rather than being forced to prepare spells ahead of time. Given this approach, it is balanced against the capabilities of martial classes, but can "nuke" to some extent by burning more ether points than the regeneration rate grants. Most ethermagic users who try anything fancy will be doing this rather quickly. Ethermagus - Tap into the infinite power of the ether, summon your void blade, and start etherstriking with the ethermagus, a brand new alternate class by Jason Linker of Flying Pincushion Games! This class features the brand new voidmeld etherheart, which allows the ethermagus to customize his personal void blade on the fly, as well as a number of ways to choke the fight out of his foes with the force of the ether itself. And yes, your void blade can go way past +5 without a problem. The ether does not subscribe to your pitiful physics. Etherslinger - In the icy blackness of space, nobody can outsmart bullet. Written by Endzeitgeist himself, the etherslinger alternate class is a deconstruction of the gunslinger with some ethermagic thrown in for good measure. Gone are the days of having to go into melee because bullets are prohibitively expensive. Instead, pull some energy out of the void, load it into the chamber, and start firing! Grit and ether points combine to allow for a complex resource management game, while a new talent system replaces autogranted gunslinger deeds and allows for powerful customization from etherslinger to etherslinger. Heralds of the Multiverse - The heralds of creation, madness, and the void are a series of archetypes for the ethermancer base class that each have their own explanation for the way the universe is. Are you the celestial protector and superhero, the servant of elder abominations, or the selfish egotist? More feats, manifestations, and greater manifestations! What is it? - Musical composition allows for the creation of custom musical scores. Each score is made up of an intro, which triggers when conducting begins, a number of stackable melodies, which provide their function for the duration of the performance, and an outro, which triggers when the performance ceases. Cantor - Sick of the orchestra? Lead the choir! Written by Jason Linker, the cantor base class puts away the arcane bells and whistles of the maestro and instead picks up a number of divine tricks all her own. Complete with her own composition and opus lists, the cantor brings the idea of musical composition full-circle. Just as the bard straddles arcane and divine magic, so too follow the composers. Arranger - Whenever one man makes a masterpiece, others start arranging it in an effort to show that they could have done it better. This archetype for the maestro base class allows you to do just that - add melodies to your opuses to prove that you know the way the 1812 Overture should have ended. Virtuoso - Why compose when you can also play? This archetype for the maestro and cantor base classes does away with the ability to cast, but grants the ability to make bardic performances instead. Achieve total aural saturation by conducting a score and performing a bardic performance all at the same time! What is it? - A from-the-ground up reconstruction of the classic 3.5 system with entirely new core, metamagic, and spell systems, classes using Interjection Games' truename magic uses pseudo-Concentration checks in order to cast spells. Flexible metamagic, called inflections, allows for the application of special modifiers, such as faster casting or additional targets, to any spell, called recitations, that the class can cast; however, as casting gets harder the more a specific spell has been cast per day, and as using inflections increases the rate at which a spell gets harder, using these inflections literally dumps the caster's resources up to five times faster than casting without. Combined with copious resources provided by lower level recitations that get easier and easier to cast, but do not scale with level, this new truenamer is perfect for those players who love to spam numerous effects and chain combos in order to keep up with the party. It's dynamic. It's rewarding. But, as the abilities never scale, it's never overpowered. Savant of Heart and Mind - Most truenamers fight long and hard to learn how to think like a thing or like a place so that they may leverage the various codices that reference them. Some few simply end up being too alive to do so and focus on the Codex of Heart and Mind, the tome of First Language knowledge that concerns itself with living things. True masters of that codex, savants of heart and mind, a truenamer archetype, deal exclusively in its recitations and are known to have a vast vocabulary in that area of expertise. "Babylonian/Cthulhu Base Class" - Endzeitgeist hasn't written it yet, but, from what notes we have, this base class reaches out to Lovecraftian horrors existing beyond time and space and leverages their power to force the universe to conform to the class' will. Brian Patterson of d20monkey fame is Kickstarting his rules-neutral Campaign Setting featured in the comic. Rules supported is slated for 5e, Pathfinder, and 13th Age. $35 (US) gets you the Hardcover book and digital copies of all the stretch goals.